Buy or Rent Shut Up Little Man! 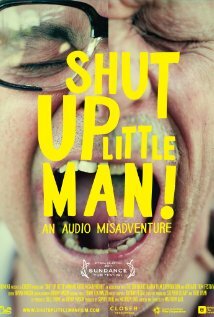 An Audio Misadventure (2011) Movie DVD & BluRay Online! Movie Plot: When two friends tape-recorded the fights of their violently noisy neighbors, they accidentally created one of the world’s first ‘viral’ pop-culture sensations.